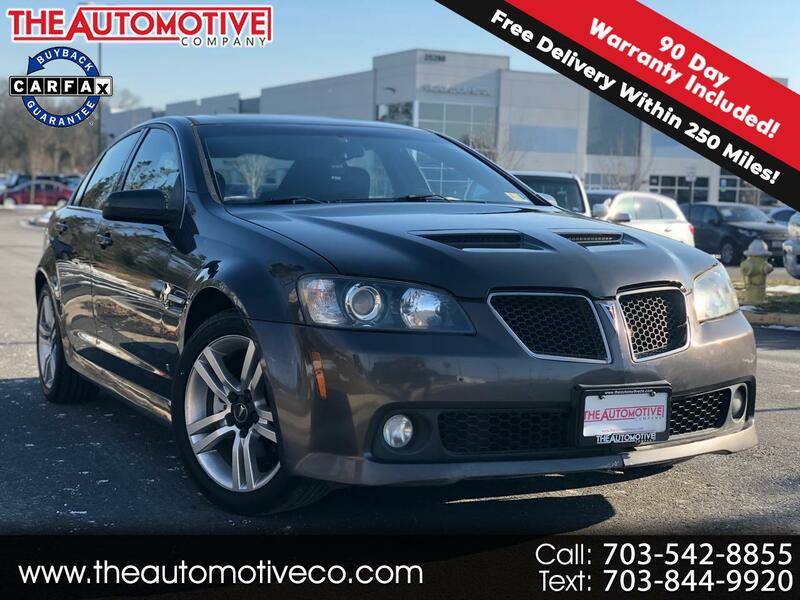 Up for sale is a good looking 2008 Pontiac G8 with 176k miles Don't let the miles scare you we installed new timing chain and tensioners and it comes with a 3 month/3000 mile warranty. We update our website daily but please call us to confirm availability before coming out.March 1st we started our mission to plant 5 trees for every car we sell at The Automotive Company. Our goal is to plant 20000 trees by 2025.Active service members Military and Veterans get a complementary 6month/6000mile warranty. That's the least we can do to say thank you! Price excludes $399.00 processing fee registration fees and sales taxes. 3% surcharge will be added on all credit card charges over $500. Deposits are non-refundable and all our sales are based on first-come-first-serve policy. We always do our best to describe our vehicles through text description and a lot of pictures . It is normal for a used car have normal wear and tear. Please read the description and view all pictures. We are not responsible for misprints on prices or equipment. Pricing subject to change without notice. Message: Thought you might be interested in this 2008 Pontiac G8.